Listen to the new song by Akki Singh. Presenting Naa Samajh Lyrics and the video. 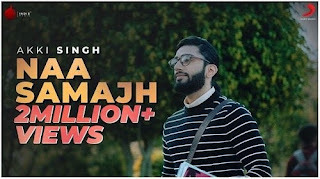 Naa Samajh Lyrics is sung by Akki Singh, Annsh Shekhawat and music is composed by Kunaal-Rangon while lyrics are penned down by Kunaal Vermaa.